If owning a Bed and Breakfast was in your plans, you can't do much better than this gorgeous opportunity!The possibilities are endless for that creative entrepeneur that would love being a host to people from all over the world. 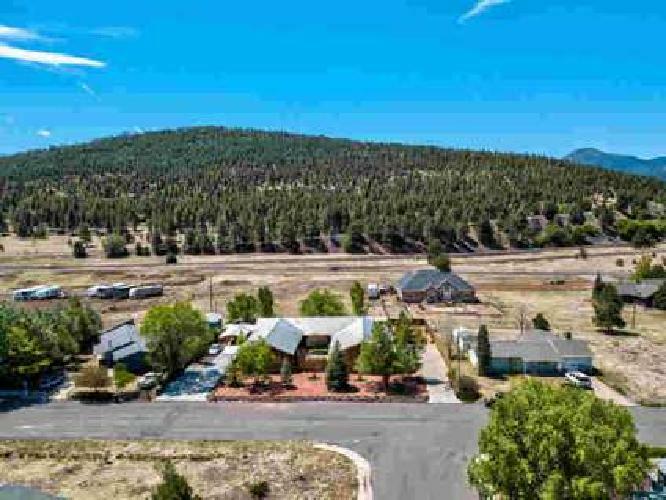 one hour to the Grand Canyon, less than one mile from Bearizona, only five minutes to the Grand Canyon Railway and only 30 minutes from Flagstaff! This home is rustic and full of character. five units; 2 private rooms with their own bath, 2; two beds suites with a shared bath and a vacation rental with 1 beds, kitchen, bath, laundry and private entry. Full living quarters attached. Williams is a cozy mountain town with exceptional characteristics. This is a turn key opportunity with most of the furnishings and appliances included! This is a five star opportunity! !